Unmeasured 160-180 cm M-25 lt.
15-20 cm 160-180 cm M-30 lt.
20-25 cm 160-180 cm M-35/45 lt.
25-30 cm Short & tall M-35/45 lt.
30-40 cm Short & tall M-50 lt.
40-50 cm Short & tall M-70 lt.
50-60 cm 180-200 cm M-500 lt.
60+ cm 180-200 cm M-500 lt. 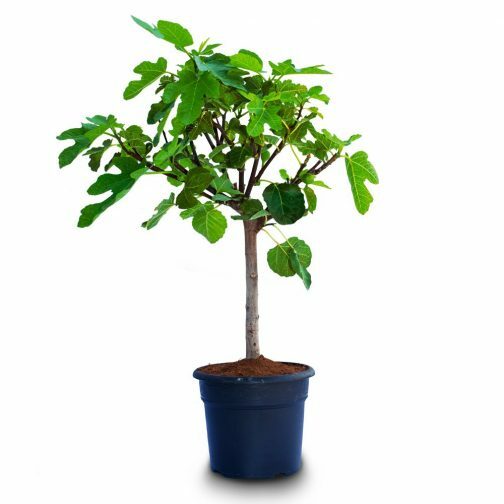 The Ficus Carica or Fig tree is a small deciduous tree of 3-10m in height. 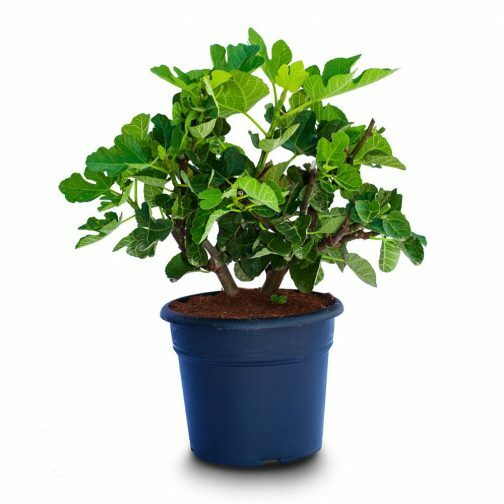 The fruit (although really a fake fruit or infructescence) of the Ficus Carica is the fig, which has a diameter of 4,5-5,5 cm and can range from green to purple and black. The leaf of the Ficus Carica 12-25cm long and 10-18cm across, deeply lobed with up to 3 or 5 lobes.